What exactly is tooth enamel? How does it protect your teeth? What are the top recommendations for taking care of it? People frequently ask about the significance of tooth enamel, so here are some straightforward, but important facts that may help to answer some of your questions. Tooth enamel is the outermost layer of four layers of tissue that, in addition to the bone, blood vessels and nerves, make up the structure of a tooth. As the tooth grows, the enamel goes through various stages of development until it reaches a fully matured state. Once it reaches this stage of growth, the proteins responsible for mineralizing the enamel cease. It is important to note that because enamel has no living tissue, it cannot regenerate itself when it gets chipped, broken, worn down or decayed. How does enamel protect my teeth? This naturally-formed barrier is the hardest substance in your body, and it also acts as the first layer of defense to help your body maintain healthy teeth and gums. 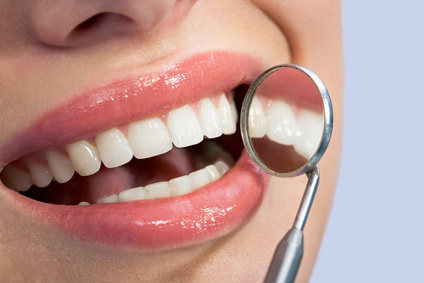 Enamel is essentially a shield for the inner layers of your teeth. It protects them from exposure to cold and hot foods or beverages, as well as from other long-term damage caused by acids and plaque. This includes cavities and gum disease. How do I care for my enamel? Avoid consuming certain foods and beverages that are primarily sticky, sugary or acidic substances. These leave a film on your teeth that, when mixed with the bacteria in your mouth, produces lactic acid. This deadly cocktail gradually erodes your tooth enamel. Resist abrasive behavior, including overly vigorous brushing or biting into hard substances, such as ice, hard candies and fingernails. This not only wears away the enamel, but it also increases the risk of a broken or chipped tooth. Be aware of subconscious or habitual behavior, including teeth grinding, also called bruxism, as it grinds down the enamel of your teeth and leaves them vulnerable to damage and decay. Commit to maintaining good oral health and taking care of your enamel. This includes brushing your teeth twice per day with a fluoride toothpaste, followed by routine flossing. If you want more information about enamel, how it contributes to the overall good health of your teeth and gums, or if you are interested in improving your oral health, please schedule a complimentary consultation.